We’ve been waiting a long time to be able to erase messages on WhatsApp because until recently, any slip-up we made was burned into our chat history forever. Luckily, we can now take advantage of this feature. However, you might not know that there’s also a way that you can look back on all those erased messages. We’re going to run you through how to read deleted messages on WhatsApp. When someone wipes a message in WhatsApp everyone in the chat can see “This message was deleted.” It’s impossible not be a bit curious about what the content of that message was. I have a right to know what was said if I was too busy to see it before. You’ll only need one of the two. They do the exact same thing, but the layout is a bit different. 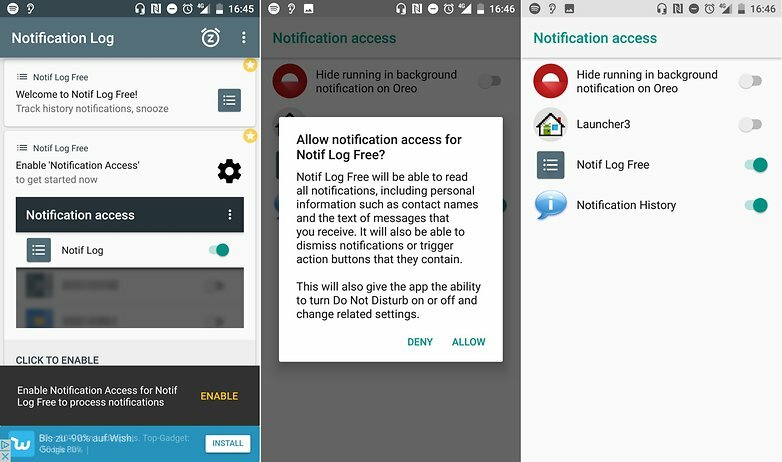 Whether messages were erased or not, this app will keep a record of every notification you get. However, to do that you will have to give it special access. This access will override other apps so it can gather notification data. The first time you open either the two applications, you will be asked to grant them permission. From then on, it will log every notification that you receive, including those from messages which were later erased. All you need to do is go to the log and check out the notifications that were deleted on WhatsApp. It’s as easy as that. Do you use WhatsApp often? 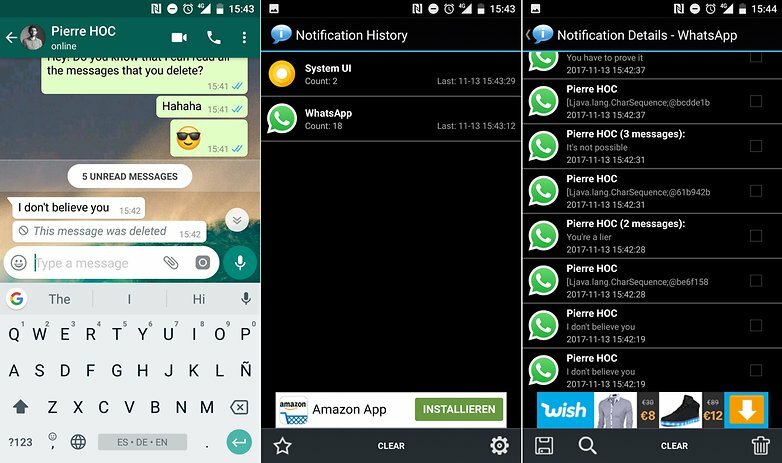 Then you’re sure to find something useful in our list of the best WhatsApp tips and tricks. Have you ever tried to recover erased messages on WhatsApp? Do you use one of these apps?